It’s time to dig out your fuzzy mittens, don a warm stocking cap and embrace the winter season in the Salem area! 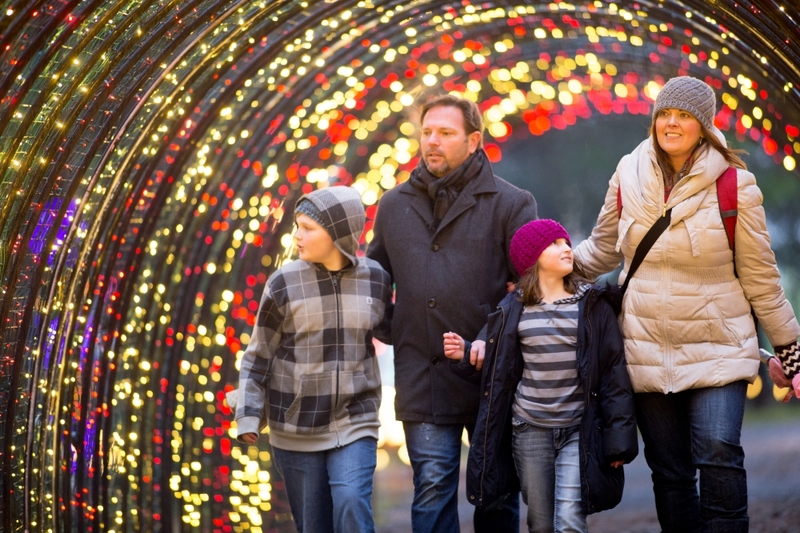 With so many fun, family-friendly activities going on, you’ll want to make these your go-to winter traditions year after year. Salem on Ice, a seasonal outdoor ice skating rink, returns to Salem’s Riverfront Park for a second season starting mid-November. The 8,400 square-foot rink is completely tented and includes a snack shop, skate rentals (or bring your own) and fun props for picture taking and creating holiday memories. The rink will be open daily, including holidays, from November 17 through January 21. 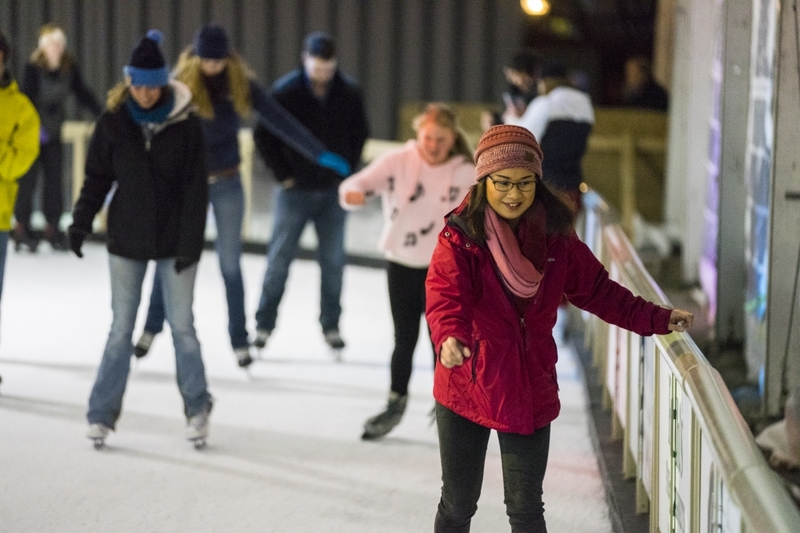 Before or after your skate session, take a spin on Salem’s Riverfront Carousel or check out the Gilbert House Children’s Museum – both located in the park and within easy walking distance of the ice rink. Just two blocks east of the park, you’ll find delicious, locally-sourced dishes at hip downtown Salem spots like Venti’s Café and Basil & Board – a newly opened urban pizzeria featuring a wide array of local beer, wine and craft cocktails. In nearby Silverton, don’t miss what’s becoming one of the Mid-Willamette Valley’s most notable winter traditions: Christmas in the Garden. Enjoy ice skating, snowless tubing and a traditional German Christmas market in this stunning 80-acre botanical garden, adorned with nearly 1 million twinkling lights! Stay overnight at the adjacent Oregon Garden Resort – a rustic, boutique hotel featuring cozy fireplaces in every guest cottage. Just west of Salem, the historic town of Monmouth offers up a winter tradition that’ll help you experience the area like a local. Making Spirits Bright, held November 24 – 30, includes a Holiday Bazaar, a series of musical acts, Gingerbread kids’ village and family-centric light displays located throughout the town. Downtown businesses are also competing in a holidays lights competition, so be sure to peruse the stores and snap pics of your favorites! For more ideas about what to do in the Salem area, go to www.TravelSalem.com.